Don’t let your rubbish continue to pile up. For your own sake and for your peace of mind, get your junk off your premises as soon as possible with our waste collection in Marks Gate. A cluttered up office full of rubbish is not a good look, and won’t look professional if you’re entertaining clients. That’s why we offer office clearance services at extremely affordable rates and can take care of all of your Marks Gate waste clearance requirements so that you can have a smart and spacious place of business. At Handy Rubbish we know what businesses are after, and will bend over backwards to make sure that we try to accommodate all of your junk removal requirements. Our hard working waste removal RM6 team are always ready to take on any task, so give us a call today on 020 3540 8282. You will be connected to one of our friendly customer service representatives, all of whom have the skills and knowledge to be able to answer any of your questions and recommend one of our first class rubbish disposal Marks Gate services. Recently moved into the area? Had building work done and renovated your house? Building companies are usually meant to take care of the mess that they leave whilst carrying out their work, but some bogus companies may lack professionalism and leave your house in a tip. If this is the case, don’t just leave it, and instead, get it sorted sooner rather than later, because after all, you don’t want to be living amongst rubble, dust and dirt for any longer than you need to. So call in the Marks Gate rubbish clearance professionals to take care of all of your waste removal and after builders waste clearance tasks. At Handy Rubbish, we are very much aware that some building companies may leave your house in an unsuitable condition, which is why we provide waste disposal RM6 services and can help you attain a skip permit, so that your rubbish can be disposed of in a quick and efficient manner. 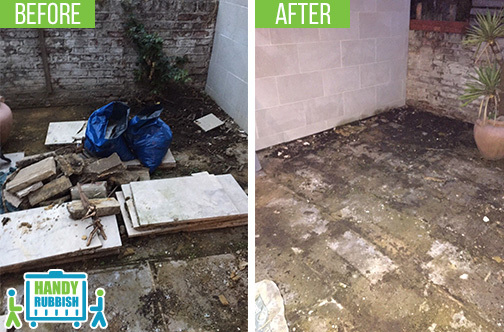 So if you feel that you could do with our RM6 rubbish removal services, give us a call today on 020 3540 8282 and let us make your life a whole lot easier. Handy Rubbish helped me clear my house in Marks Gate of unwanted rubbish and furniture. Would recommend their fantastic junk collection service. My waste clearance job in Marks Gate was easy as pie thanks to their experienced team! They came to my home, sorted the rubbish and took it away in no time at all! The cheapest and quickest service I have ever hired in RM6! Live in the Beautiful Area of Marks Gate and Escape City life! Marks Gate is situated in the London Borough of Barking and Dagenham. At the northern tip of the borough, its postcode district is RM6. 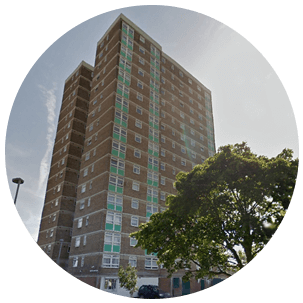 Nearby areas include Chadwell Heath, located immediately south of Marks Gate, and Collier Row, that have the postcode districts RM6 and RM5 respectively. Living in Marks Gate is a truly unique experience. Although it’s situated in the popular and busy area of East London, living in Marks Gate, you would never know that you’re in the capital city. The area is surrounded by plenty of parks, open spaces and fields, mainly fields of wheat and oats that will make it seem as if you’re living in the country side. The City Pavilion on Collier Row Road is the place to go for entertainment and a fun filled day out. The Pavilion is highly popular amongst local residents and has plenty to keep you and the family occupied. It is primarily a leisure facility, but has many bars, restaurants, and shops and also a bowling centre for some fun with family and friends. Unless you drive, the bus would be your main mode of transport to the rest of the city, with bus routes 62 and 362 providing a regular service from Billet Road.